The purpose of a flyover is to provide us with information about towns and mining camps we are considering reaching by ground, or to supplement information we have obtained during a ground trip. Flyovers are usually done a few weeks before the ground trip. The ground portion of our yearly trips is planned based on the information gathered during the flyover. 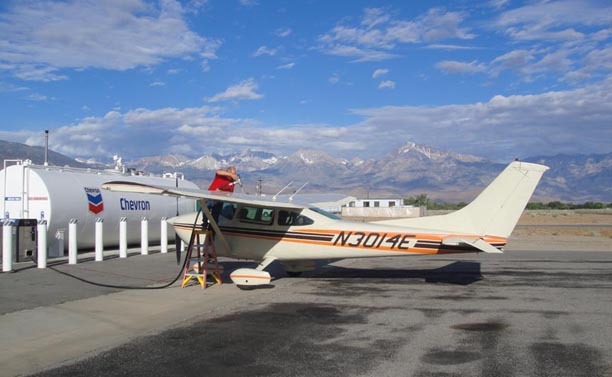 Steve fuels the plane before a ghost town hunting flyover trip.